Learn about the varied trips we offer, including information and pictures of the environment and species you will encounter. Learn about the Sierra-Trek team, their backgrounds, specialities, and what makes them experts on this region. Connect with us. Read about what’s happening at Sierratrek and what’s coming up. Click here to contact us for further information about Sierra-trek and our zone of operation. A YOUNG AND SMALL, ANGLO-SPANISH NATURE TOURISM COMPANY GROWN OUT OF DRIVING ENTHUSIASM AND SOLID LOCAL KNOWLEDGE. Based in the World Heritage Sites of BAEZA and UBEDA, Sierra-trek is set in the heart of the province of Jaen in the north of Andalucia- the greenest of Spain’s provinces with the largest percentage of protected natural spaces, and rightfully regarded as the unsung hero of Spanish nature. A mixed blessing which allows a real wilderness experience in what is arguably the region with the greatest wealth of flora and fauna in the whole Iberian Peninsula, and by consequence, the whole of Europe. Along with RESPONSIBLE NATURE TOURISM, Sierra-Trek’s pivotal values include EDUCATION and CONSERVATION programmes, and we take an active role in improving the fundamental principles in striking the balance between intense agriculture activity, as is the case in this region, and the need for sustainable development and conservation. These are ancient lands indeed, where quality interpretation will lead you into an understanding, not only of the exceptional natural world, but also the life and lore of a people and the culture and tradition of olive oil – the definitive ingredient of a truly authentic regional gastronomy, where the custom of the free tapa happily continues to exist. A QUALITY, LIFE EXPERIENCE is what we hope to offer our customers. We carefully select accommodation in the right places with the right ‘feel’ – charm, comfort, friendliness and regional home-cooking as standard. 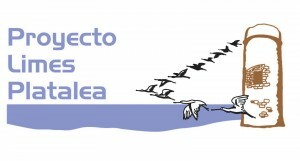 Together with great guiding, our aim is to offer truly memorable times in Europe’s best birding country- SPAIN.